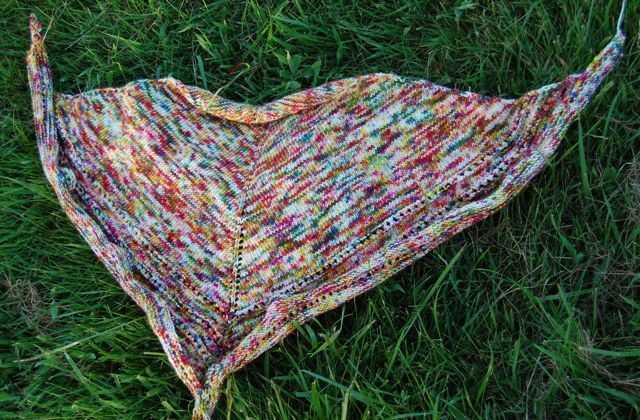 Holy crap, that knitting just FLEW by! I love it when a pattern (in this case Simple Things by Mary-Heather Cogar) and a yarn (Skein Queen‘s Entwist in A Christmas Carol from the Knit magazine sock club) come together so very perfectly. At least in my opinion. The shawlete is a tad on the colorful side, but it will match pretty much everything that way! This is the shawlete hot off the needles, not even blocked yet. I had to run outside to take pictures of it because A.) no one would believe me that I finished something so fast otherwise and B.) the sun is going down and it is difficult to take pictures in the dark. The amount of yarn worked out perfectly after I did 2 more repeats of the garter eyelet ridge than called for in the pattern. I had exactly 10 grams left over, perfect for my sock yarn blanket! 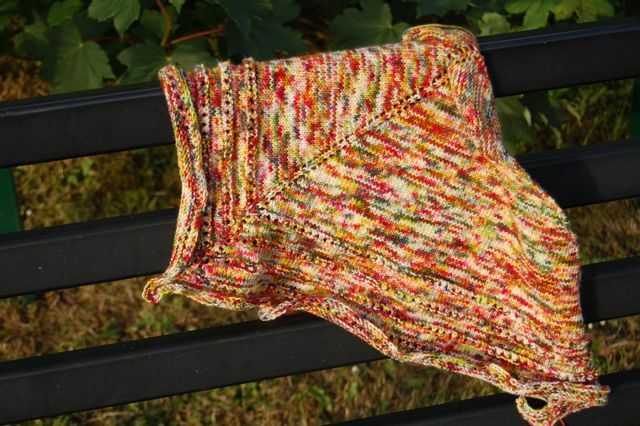 I plan on making this pattern again as it is lovely for watching TV or traveling. Really it’s almost stupid-proof. 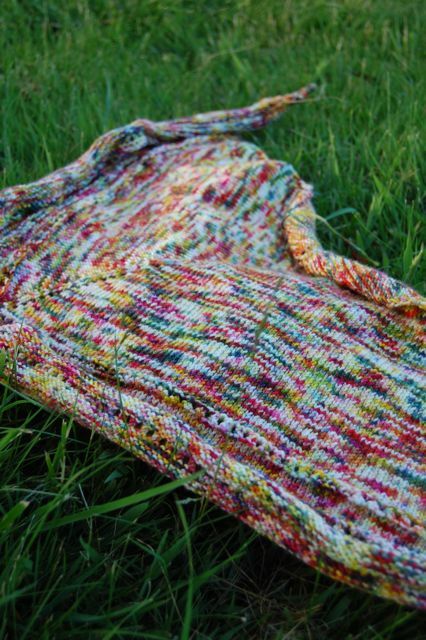 And it makes variegated sock yarns look great. 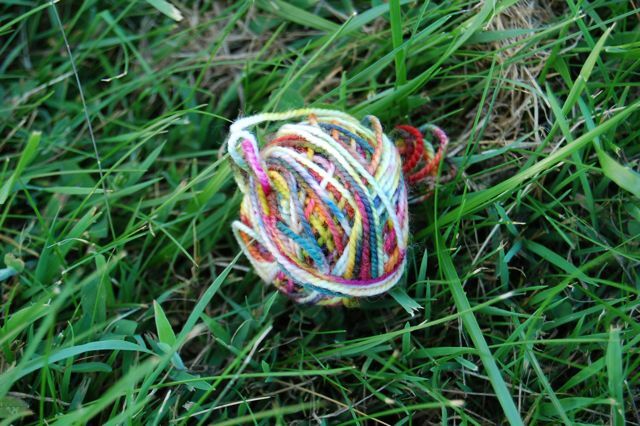 Since there’s not a lot of lace to get lost, it could handle the deeply colorful nature of this yarn. I will try to post blocking photos tomorrow (because y’all are just on edge for some hot blocking shots!). That’s a very nice looking shawl Sarah! Beautiful colors.